To decorate your baked goods like cookies, cakes, cupcakes, muffins or any other sweets, a perfect glazed creamy frosting is all you need. So it is a very important step to thick the frosting as thin frosting you cannot cover well the baked items with. To have the desired appearance of your dish mostly for cupcakes and cakes thin frosting cannot satisfy you either. But there is nothing to be worried about as several ways we will give you on ticking frosting right here. Before start adding the cornstarch to thin frosting, it is better to grind it in an electric grinder which helps it to be a soft powder and much easier for you to mix it in your base ingredient. The benefits of doing this are your frosting never form small clumps. Add a small amount of cornstarch around 1/2 tablespoon and stir it with 1or 2 tablespoon of milk. Give it a good whisk with your frosting until the cornstarch gets commended well with the frosting mixture. Let it rest for a while doing this your frosting will become more firm and there you have the thicken frosting. Gelatin is also a good agent that helps your frosting get thicken. Add around 1 or 2 tablespoons of plain flavorless gelatin with ½ tablespoon of cold water and mix it well until the gelatin dissolves. Take your frosting and add the gelatin and keep stirring. After giving the mixture a good mix, refrigerate your frosting to get thicken. Powdered sugar is the easiest way and the most common ingredient that is used to thicken the frosting. Especially if your frosting is made with cream cheese or buttercream it works the best for both. It is very necessary to choose a bowl with depth where you will mix all the ingredients. If you have an electric mixer then it will be a great help just in case you don’t have it or the mixture is not working use a spatula as an alternative. Add ½ cup of powdered sugar per batch while mixing it is recommended. By doing this the runny frosting will get more thicken and will reach the consistency level to your desire. Coconut is another good ingredient you can make your frosting thicken with. If your frosting requires the flavor of coconut then using it is absolutely a good choice as shredded coconut helps the frosting get thicken. Place your frosting in a bowl then add 1 tablespoon of coconut at a time and give it a good mix. Keep gradually adding 1 tablespoon of coconut at a time until the frosting reaches the thickness you want. 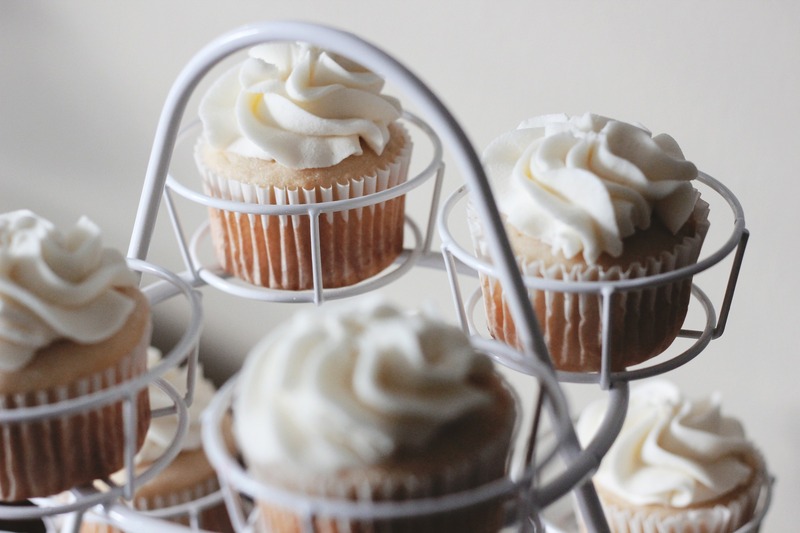 For cupcakes and cakes, a fluffy frosting or icing is very important. So here whipped cream comes out a great help to make the frosting perfectly thicken. Be sure you take a very cold whipping cream not melted before you start of whisking it. If the whipped cream is runny and to melted leave, it to chill thoroughly. Place your frosting in a bowl and add around 3 to 4 tablespoon of chill whipped cream to it. You can also add 1 to 2 tablespoon of cornstarch which makes the frosting more stable. Add 1 tablespoon of butter and mix t well using an electric beater or a hand whisk. Let the butter be soft before you add it to your frosting but make sure you do not melt the butter. Let the frosting refrigerate for some time to set in because the consistency of the frosting may not reach the thickness you prefer instant. This method is definitely not applicable to all types of frosting it is only suitable when you want to thicken the warm frosting. Make sure you remove the frosting from heat when it reaches your desired thickness otherwise overcooking it will make it soggy. Meringue Powder is very handy and goes well with the powdered sugar. Egg whites, little sugar, and some gum are the ingredients of meringue powder. This sugar is much suitable when you are making royal icing and any frosting that requires less sweetness. And the gum it contains helps much the frosting to get thicken. Make sure you do not use excess that will make the frosting overly thick and heavy. ​Everyone likes fluffy and smooth and soft frosting on cakes, cupcakes. So the choices mentioned above will help you to get thicken frosting you prefer. But be sure you apply and choose that way of ticking method for frosting which combined well with your baked goods. Share the article if you find it helpful and place your comments below.